No other athletic display proves the incredible ability and potential of men and women quite like the beautiful sport of gymnastics. 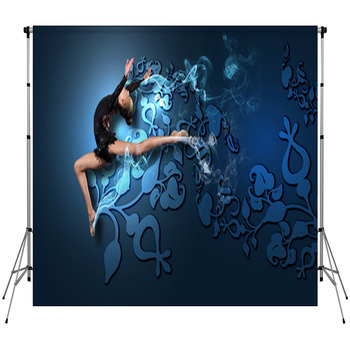 Now you can use the incredible grace and strength of gymnasts in your work with our gymnastics backdrops. 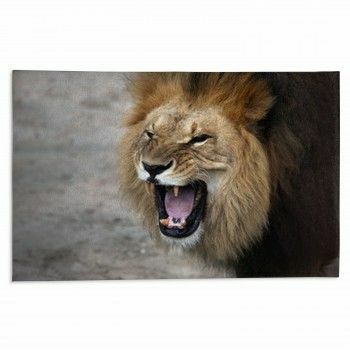 Watching professionals is entrancing, it is almost surreal how they perform unbelievable feats of agility and physical power with a look of utter tranquility. The athletes really dedicate their entire lives to this athletic pursuit for a single chance to compete in the Olympic Games. 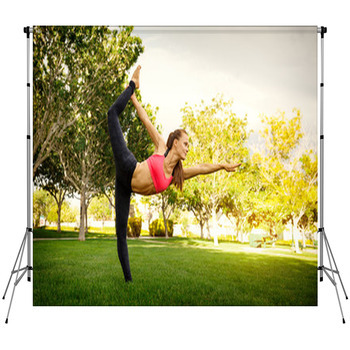 Wonderfully decorated with the finest photos, images and illustrations of this gorgeous sport, our portable photo backdrops will add its enchantment to your photo shoots and portraits. 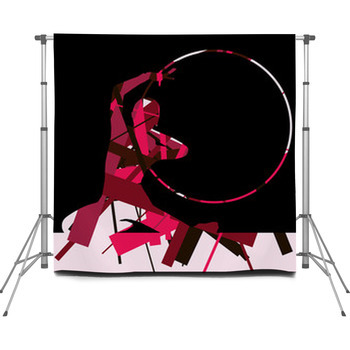 Whether you love men's or women's gymnastics the most, or are thrilled with both, we've got the perfect photographer backdrop for you. 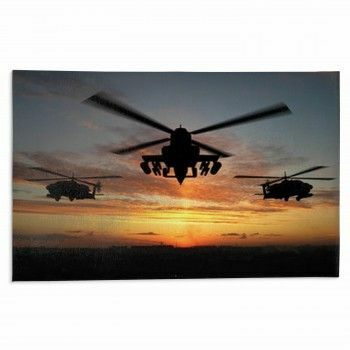 The high resolution photographs on these custom size backdrops will take your breath away. 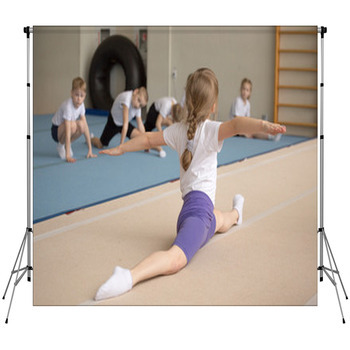 A young girl is shown midway through an incredible back handspring on the thin balance beam. Another slender girl is shown flying through the air during a backflip off the high parallel bars, displaying perfect form as her body remains perfectly straight. 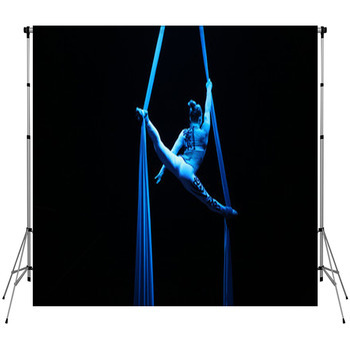 On another photo backdrop, a muscled man shows off his awesome strength by carrying his body in a rigid L shape by his sinewy hands. 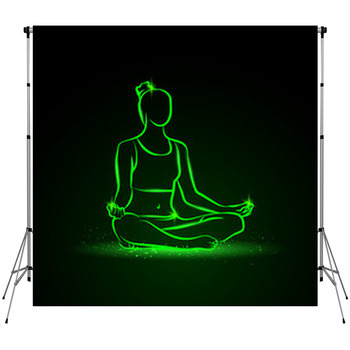 Show off your love for this unique sport with every photo you take. 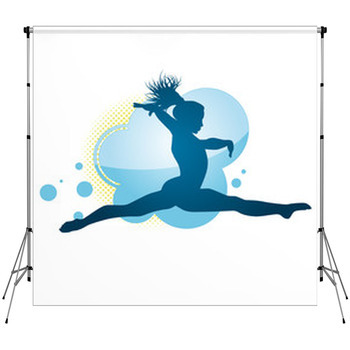 These custom size backdrops are perfect for photographing you or your children's gymnastics team. 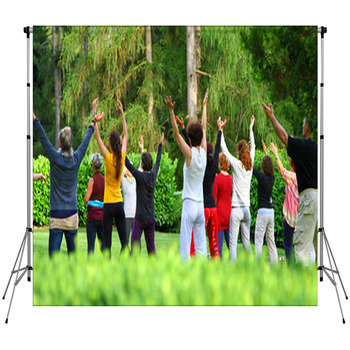 You can even personalize your backdrop with custom text such as their teams name or a motivational quote. 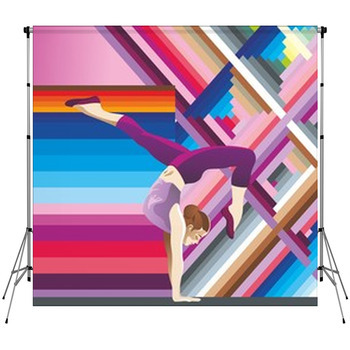 Teenagers who take gymnastics seriously will simply love a memorable photo in front of our backdrops, and their parents will cherish it for years to come. 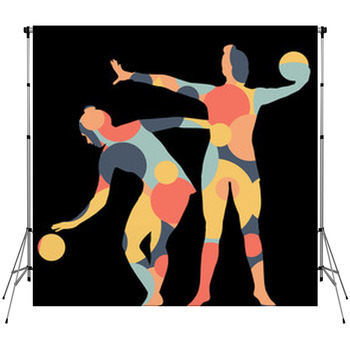 If you are preparing for a gymnastics themed party or event, utilize our matching gymnastics themed wall murals and custom size fabric to fashion a high flying decor theme.